In 2012 I wrote a blog post similar to this one and it was by far the most popular blog post on my website. It was a great post, but I think it’s about time that I update it! A spot that you spent a lot of time together – Did you play intramural sports? Do you have a go-to coffee spot? Does your family have a special piece of land or location where you hang out? Does your college have a special place in your heart? I love to try out new locations. So if you can think of something that is uniquely you just let me know and we can talk though the idea! 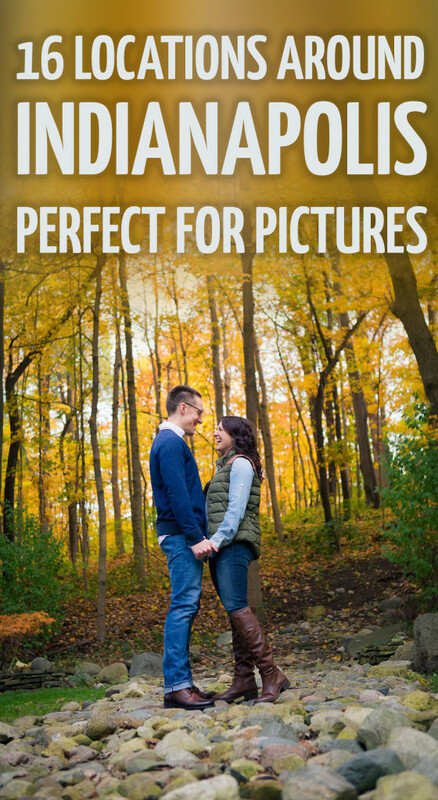 If nothing comes to mind when you try to brainstorm then here are a few of my favorite locations for engagement photography or a family photography session that you can choose from. This list is in no particular order. These are my go-to locations around Indy. 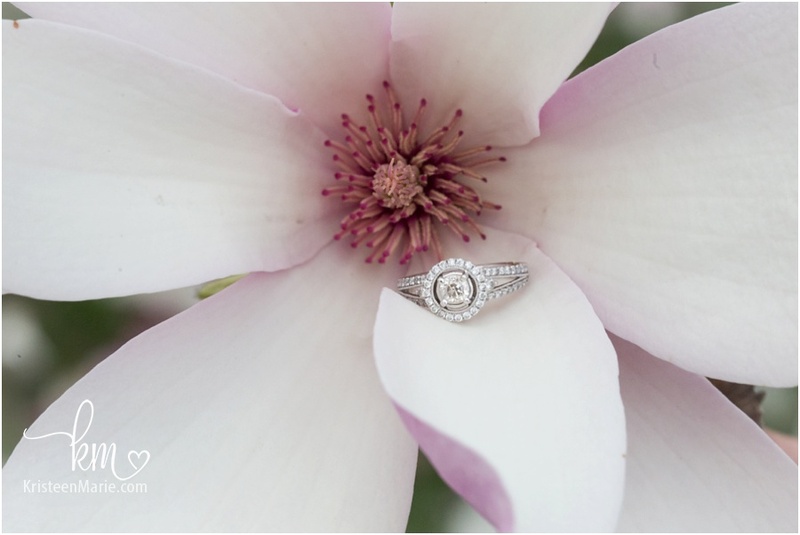 Holcomb Gardens – This park is especially lovely in Spring/early Summer when the flowering trees are in bloom but it also doubles a s a great location in Fall to capture the changing colors. This location is on Butler University’s campus. But don’t worry, you won’t find any giant Butler logos or any bulldogs here. 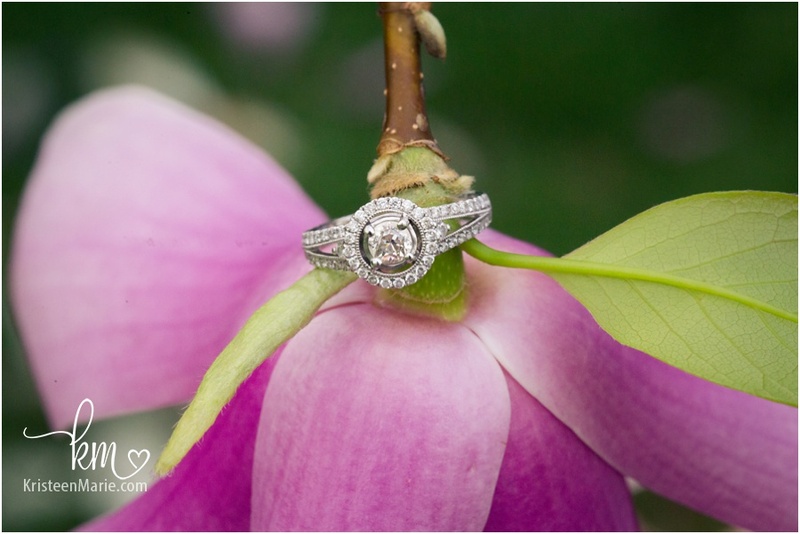 Instead you will find a giant weeping willow over the canal, a fun bridge, well groomed greenery, an area of ungroomed greenery, and even a little water feature. This location is great all year round! If you want a park that isn’t too rustic this is a great option. Eagle Creek Park – This is a large park on the North West side of town. It’s lovely all year round but it’s especially beautiful in the Fall. It offers some of the best fall colors in the city. This is a rustic location with lots of greenery, streams, rocks, tall wild grass, and so much more. If you are looking for a location that offers that rustic feel this is a fantastic option! West Park – This park is located in Carmel, IN (north of downtown) on the west side of the city off of 116th street. It has lots of tall wild grass which photographs lovely. There is also a fun stone feature, wood plank walking path around a pond, and a few walking paths that offer beautiful greenery during the spring/summer months and Fall colors in the Fall. If you like the tall wild grass look that is very popular right now this is the best park for that. Fort Harrison State Park – This is a large park on the north east side of the city. This park is great year round, but anyone wanting to capture the fall colors, this location is ideal. 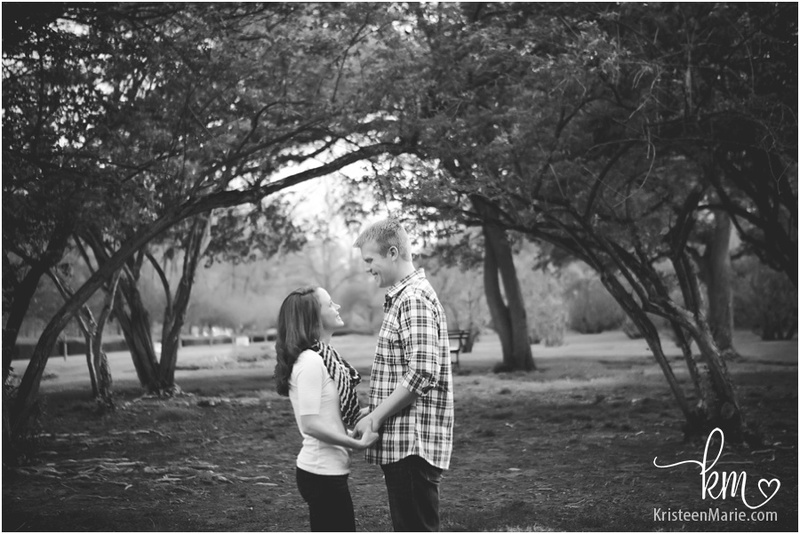 This park is perfect for a couple or family that wants to capture lots of nature in their images. 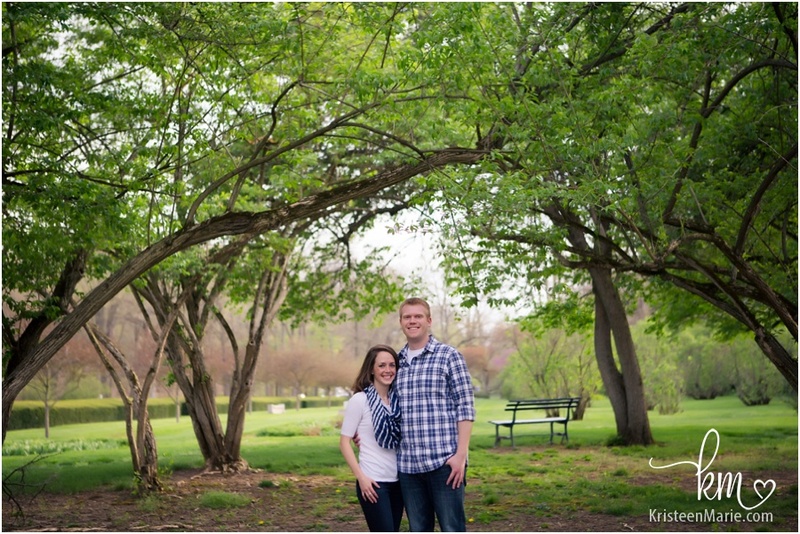 The backdrop selections here includes water, wooden bridges, brush, lots of trees and natural greenery, walking paths, and more. Flowing Wells Park – This park isn’t huge, but it offers a lot for it’s small size. It’s located off of 116th in Carmel, IN. If you like the look of running water though a rock filled water bed this is the perfect location for you. The Cool Creek runs right though the middle of this park and it’s truly beautiful! 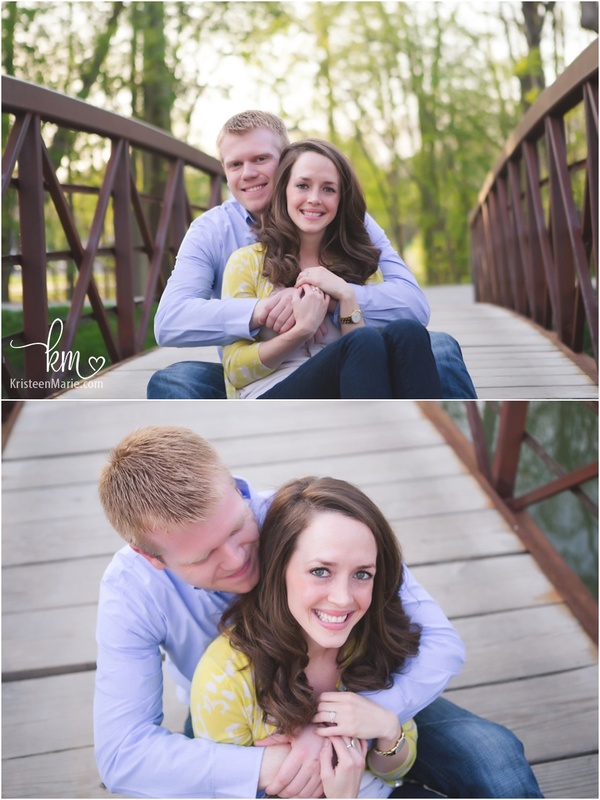 There is also a fun bridge and lots of rustic and green areas. This location is great all year round. Cool Creek Park Nature Center – This is another good location if you are looking for something rustic. The park is located on the north side of Carmel (almost in Westfiled). It’s a large park with lots of shooting options including flowing water (the Cool Creek River runs though the park), nature paths, lots of wooded areas, open green areas, a number of bridges, and more. This would be a fantastic location for capturing the Fall colors but it’s good all year round. Indianapolis Museum of Art (IMA) – The IMA is located on the near North West side of the city and is home to the trendy LOVE statue. It also has lots of gardens that are groomed professionally. It is truly a gorgeous location! The only catch with this location is that they require a photography permit to take pictures here. This will cost you a little bit and it requires some advanced planning. I love the IMA, but the permit hassle makes this location a little less desirable. The location no longer offers a yearly permit (which I used to have) so now every time a shoot is scheduled for this location you must get an individual permit. The cost for this is $50 which I ask the client to pay and the permit must be obtained/approved 3 weeks before the shoot takes place. 100 Acres Woods – This is such a fun location! It is located right around the street from the IMA. There is a variety of backdrops including water and greenery, a modern basketball court with fun tubing, an interesting tunnel, and stairwells. This area isn’t as well groomed as the IMA, but there are still areas that are professionally groomed. This is a great location for a couple that wants something rustic/outdoorsy but not too country. This location also has the same permit restrictions at the IMA (see above). Downtown Zionsville – If you prefer an urban setting over rustic then this is a perfect location for you! Downtown Zionsville has lots of charm including brick roads, store fronts with character, wrought iron fencing, and even a little park that has some greenery. This location is great all year round including winter when they have the holiday lights up. Lockerbie Historic District – Lockerbie is the the oldest intact neighborhood in Indianapolis. Lots of time and effort has gone into restoring this area. It’s no big city but instead its a cute little area FULL of charm – seriously it’s super cute. The area has brick side walks, adorable architecture, greenery, and so much more. Downtown Indianapolis – The heart of the city is a great location for those who want a completely urban setting. Of course you can get your picture with the monument and the state house on the circle. But, there are lots of fun nooks and crannies within the city including rustic alley ways and fun store fronts. Downtown Carmel, IN – Bring your walking shoes, and lets travel around Carmel, IN and take some pictures! 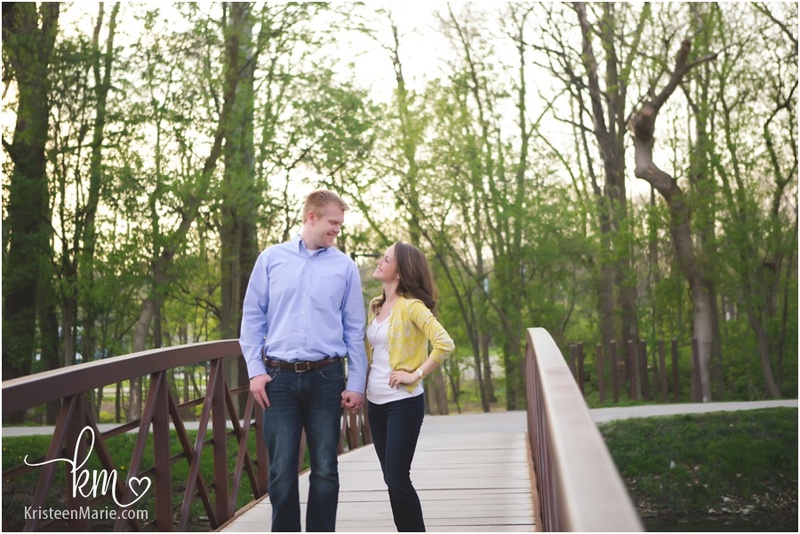 There is also a good variety of backdrops here including – a wall of fun bright colors, the Monon trail, some greenery, a water feature, older looking store fronts, and some modern art. There are also some fun shops here. So, if you are up for cupcakes or ice-cream at the end of your session, this is a fun location to be able to incorporate that. Broad Ripple – Broad Ripple is a fun, colorful, young, lively area. In Broad Ripple you have the Monon trail, bright colorful store fronts, modern art, a little bit of greenery, and awesome bridges. This is a very trendy place to have pictures taken. Coxhall Gardens – In Carmel, IN you will find this park which includes lots of well groomed flowers and greenery, and some fun structures. You can’t leave Coxhill Gardens without doing at least one jumping picture, as there is a fun amphitheater with large steps perfect for jumping pictures. The only drawback to this location is that there is very little shade. This location is best for shorter sessions as close to sunset as possible. White River State Park / The Canal – This park is in Downtown Indianapolis. The park is very iconic to Indianapolis and offers some great views with the city skyline in the background. This is a great area to get a good variety of backdrops. You can find a mixtures of greenery, city/urban-ness, brick walls, and water features. Highland Park – This is a small park not far from downtown Indianapolis. It offers some greenery and a fantastic view of the downtown skyline. If you are looking for pictures that include the city skyline this is a fantastic choice. 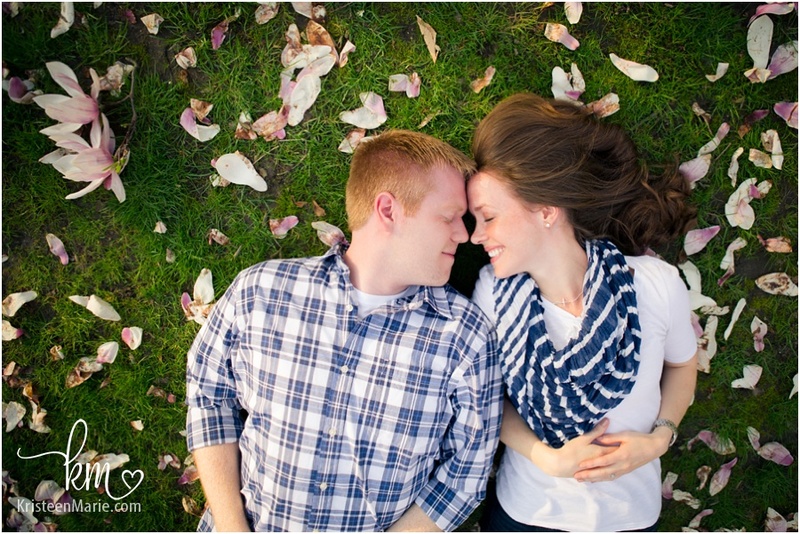 Is there somewhere around Indianapolis that you think is great for pictures that didn’t make the list? If so, let me know by leaving a comment below. I hope you enjoyed this list of photo locations around Indy! 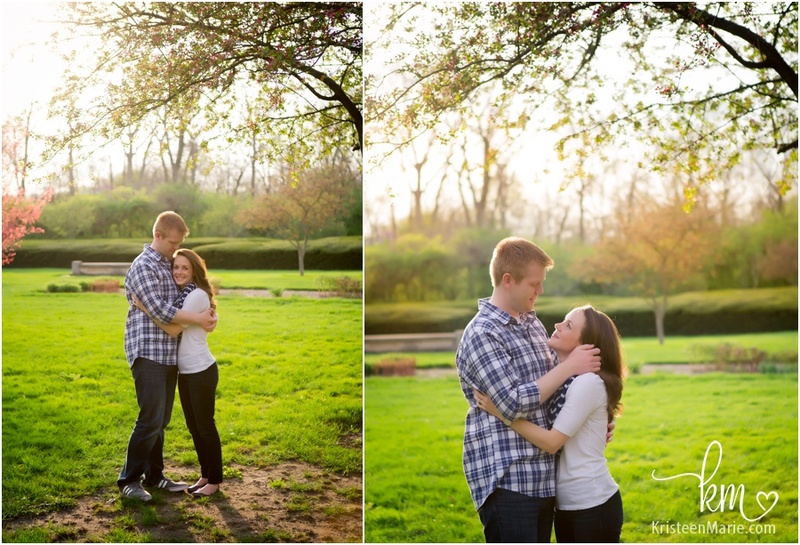 This wonderful couple had a lovely Spring day for their engagement session in Indiana. This is my first session of the year where there were flowers. That alone is enough to put a sime on my face. 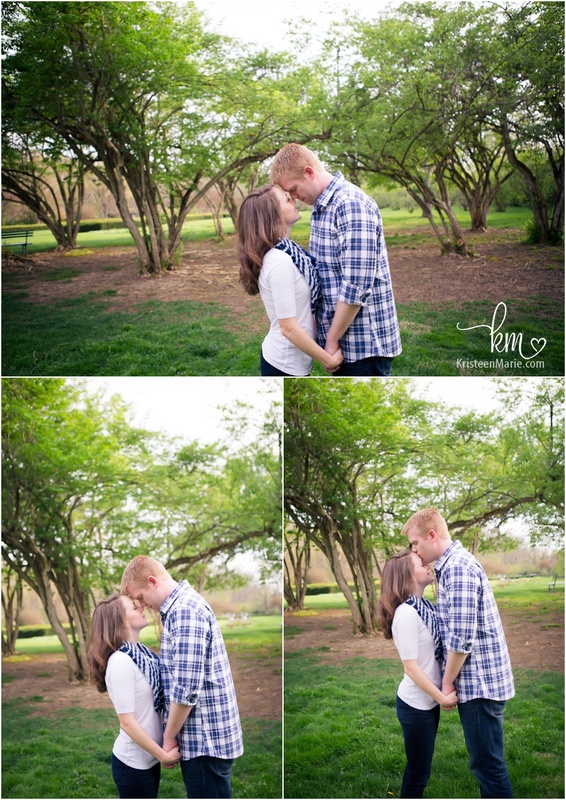 But when you add in an adorably sweet couple you have one awesome session. 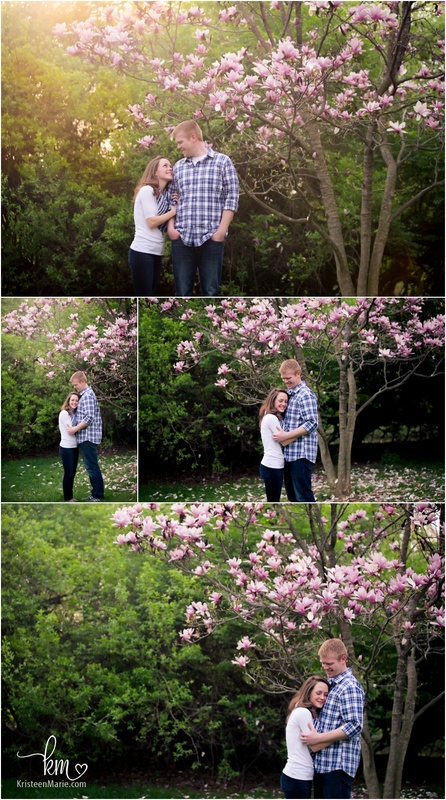 I can’t wait to photograph their wedding later this year!